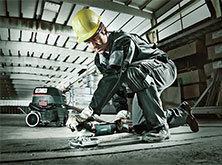 offers wood professionals a large selection of semi-stationary machines. No matter if it is about sawing, planing or grinding: With our semi-stationary power tools you work in a particularly fast, precise and safe manner. Our products combine efficiency and precision with great robustness and a long service life. Our extensive range of accessories and matching extraction solutions offer you the optimal complete solution for any requirements. 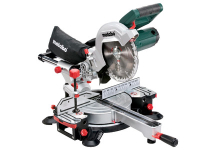 table saws, pull saws and band saws to our extremely powerful site saws. The M-class crosscut and mitre saws are real lightweights and are always ready for a change in location thanks to their compact dimensions and the ergonomic carry handle. Our cordless mitre saws can be flexibly used thanks to the powerful and enduring lithium-ion battery packs, achieve a high number of cuts per battery pack charge and are in no way inferior to their mains-powered counterparts in terms of performance. 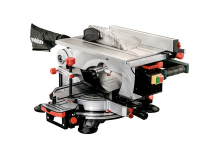 With our KS and KGS-Plus models we offer you particularly powerful and versatile mitre saws for precise cuts. 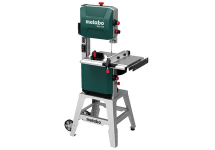 The Metabo circular saws always keep you a cut above the rest: The patented Metabo technology in our mobile models TS 254 and TS 216 permit a quick change of location thanks to a cleverly designed stand with integrated wheels. With our band saws we offer you machines with maximum stability and precision for accurate curved cuts. 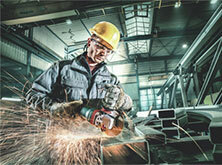 Precise and safe cross cuts also for longer materials are easily carried out with our pull saws. 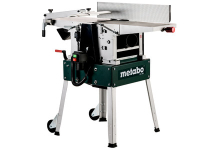 Professionals use Metabo's site saws for the really tough jobs - the robust machines are universal talents for demanding task on the construction site. 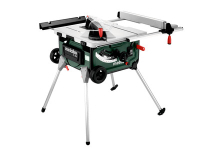 Our planer thicknessers help you to perfectly shape your timber and beams. We offer an extensive range of system accessories and consumables for all semi-stationary machines with the help of which you can achieve perfect results in a fast and efficient manner. Our matching vacuum cleaners and chip and dust extraction units keep the workshop and construction site clean and protect the user's health. With our metal chop saws you cut profiles, pipes and rods made from steel, cast iron, aluminium or other NF metals in a fast and powerful manner. 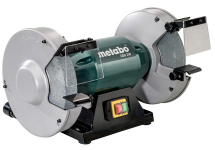 The Metabo bench grinders are the optimal tool for your tool: No matter if you need to resharpen a chisel, scraper blades or planer blades - with our bench grinders we offer you the right model for any job.